Bert Schellekens has been working on 2d CFT and specifically SCFT in relation to model building in string phenomenology. 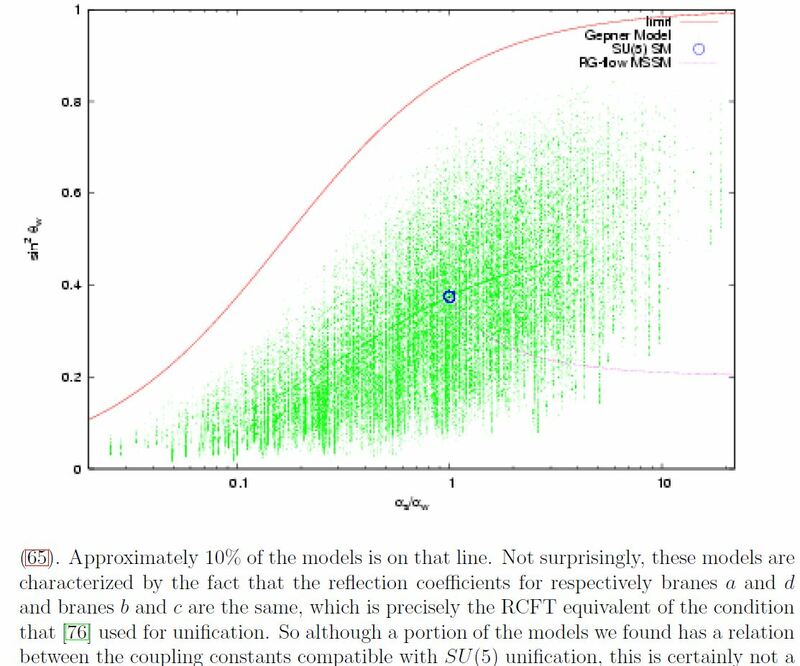 In particular he studied RCFT-Gepner model-orbifold-compactifications of the heterotic string and of intersecting D-brane models (via boundary states) in the type II superstring. Recognizing the abundance of semi-realistic models (Lerche-Lüst-Schellekens 86, Lerche-Lüst-Schellekens 87), Schellekens was maybe the first to recognize and definitely the first to make explicit the existence and relevance of the landscape of string theory vacua and to coin that term in the first place (Schellekens 98, see Schellekens 06, Schellekens 08, Schellekens 16) long before this became more widely appreciated. Schellekens’ scans of the “landscape” of vertex-algebraically well-defined Gepner model KK-compactification (in the sense of Spectral Standard Models and String Compactifications) of the heterotic string and of intersecting D-brane models (via boundary states) of the type II superstring (Dijkstra-Huiszoon-Schellekens 04a, Dijkstra-Huiszoon-Schellekens 04b) showed that solid and substantial investigation into the landscape of string theory vacua is possible, worthwhile and probably necessary. As an example, from Dijkstra-Huiszoon-Schellekens 04b, the following is a plot of standard model-like coupling constants in a computer scan of Gepner model-KK-compactification of intersecting D-brane models. The blue dot indicates the couplings in SU(5)SU(5)-GUT theory. The faint lines are NOT drawn by hand, but reflect increased density of Gepner models as seen by the computer scan. Last revised on October 30, 2018 at 03:22:04. See the history of this page for a list of all contributions to it.